Roger & Gallet's Fleur de Figuier was my body oil of the summer - but I've found a great alternative for the cooler months. Lancôme recently launched a limited edition dry oil, €40 for 100ml, to accompany its bestselling fragrance, La Vie Est Belle. Described as a 'gourmand iris', the original scent is a touch too sweet for me. I favour the Eau de Toilette, which launched this spring; it's fresher and less intense, while still smelling rich and warm, and I'm really enjoying it as the seasons turn. 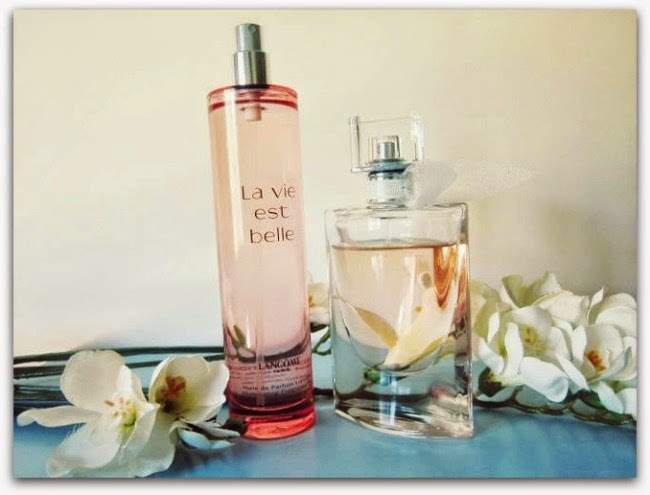 A third variety - La Vie Est Belle L'Absolu De Parfum - launched last month, though I've yet to give that a sniff. The oil acts as the perfect companion to any of the three, or can be worn alone to delicately scent the skin. It smells softer and lighter than the perfumes, but with that same sweet, warm, comforting, cosy vibe - which is what makes it especially fitting as we head towards autumn and winter. Think of being wrapped up in a cashmere scarf while drinking hot chocolate, by the fire...and that's how this baby smells. With sweet almond, apricot heart and sesame plant oils, it's also richly nourishing and, like any good dry oil, can be used on hair, skin and nails - or added to your bath for a luxurious-feeling treat. Non-greasy, it absorbs fast to leave limbs feeling soft, fragranced and moisturised. Like the sound of it? Move quickly: it won't be around for too long, and with the popularity of the fragrance I predict this will sell out fast.